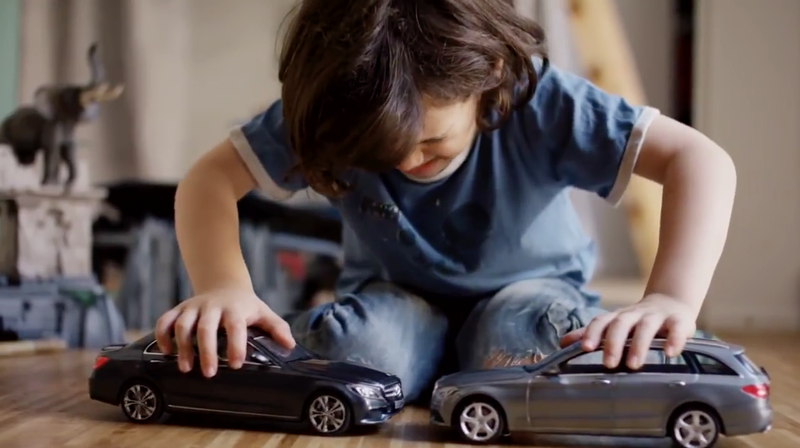 Mercedes-Benz's new ad doubles as a social experiment for children. The automaker installed heavy-duty magnets inside toy cars to highlight its Brake Assist System PLUS. The video then shows kids—who are delighted, of course, by crashing toy cars into each other—playing with the magnet cars. Let's just say they're not in love with them. It's like the opposite of last month's stunt by Canadian agency Rethink for advocacy group Arrive Alive, where they dropped wrecked toy cars into cereal boxes as drunk-driving PSAs. The Mercedes idea—from ad agency Jung von Matt/Alster in Germany—is a clever way to highlight the luxury car brand's features, but here's hoping the kids were rewarded with a new set of Hot Wheels for their troubles.